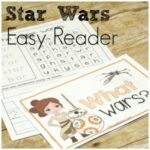 Sight words have not been a focus of ours and I can tell that some of my kids struggle with the rule breaker words. So we needed a fun way to practice reading the sight words! 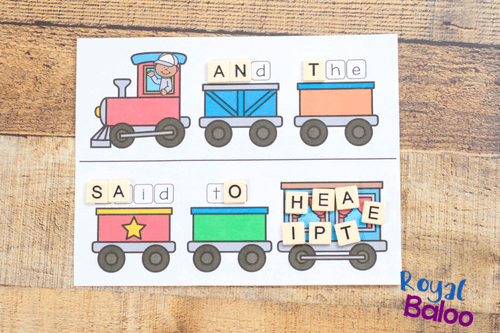 And what better way than a train themed sight word game! 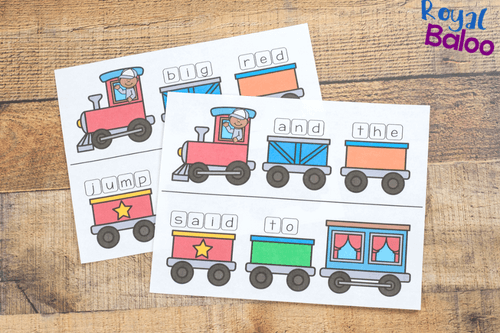 With sight words, it’s all about repetition. They rely totally on recognizing the whole word and not sounding out letters. 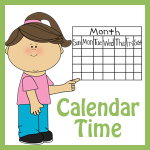 This is because most sight words have rule breakers or advanced phonics in necessary words. For example – the. It doesn’t really follow any rules but it would be very hard to read any story without that word! 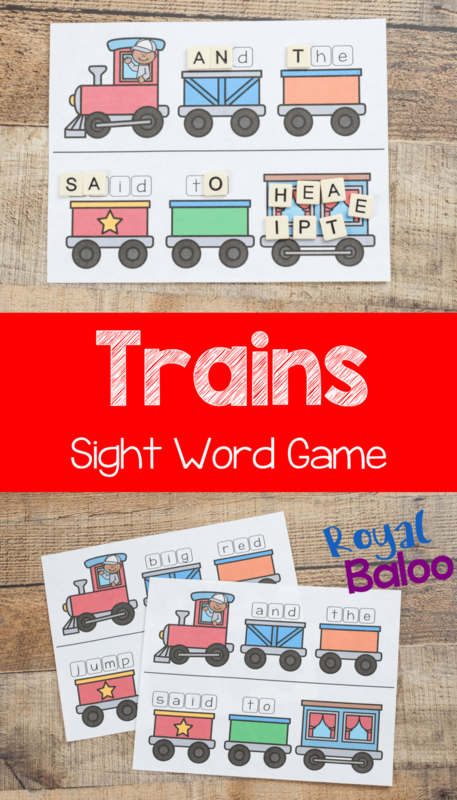 So I like to use games to practice reading sight words. It’s a lot more fun than reading the same words over and over on a page and I think it’s more effective. People learn better when they’re having fun! Game play is fairly easy for this one! Think ‘Scrabble’ but without the puzzle. Use Scrabble tiles or Bananagrams for the letter tiles. Start by giving all players a game board (there are a few options) and 7 letter tiles. Each game board is unique but you could print out multiples of the same ones if desired. On your turn you can put one letter tile on your board and pick up a new letter tile from the pile. Then the next person can put one letter tile on their own board and pick up a new tile. Play continues until someone has made all of their words! 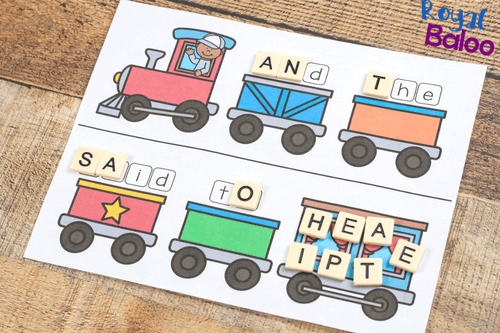 Why practice sight words with games? 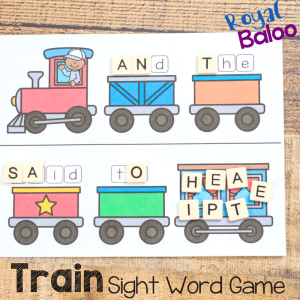 I love this game because it’s a bit competitive and that can help kids forget that they’re actually working on sight words. But if it’s too competitive you can also work as a team to fill out one board. Mostly, I like that they have to think about what letters they have, what letters they need, and they can celebrate at the end by announcing what words they’ve spelled! Click here to get your bonus freebie!